Did you know that if you have a Prime membership on Amazon and live in the USA or UK, you can borrow one ebook a month via the Kindle Owners' Lending Library. You can choose from 180,000+ ebooks FREE, including over 100 New York Times bestsellers. And there are no due dates. A Prime membership has other advantages too. For only $79/year or £49/year, you'll also receive free 2-day shipping on millions of items on Amazon, plus unlimited streaming of over 25,000 movies and TV shows. There are other perks too. You can learn more about Prime here. 1. On e-ink devices (regular Kindles & Touch), click on "See all categories" then scroll down to "Kindle Owners' Lending Library" to view titles. Find a book and click on it to either buy or borrow for free. 2. 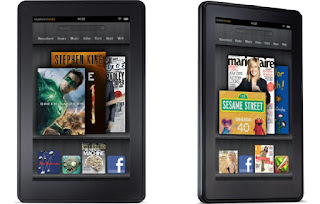 On Kindle Fire devices, the Lending Library is located in the bookstore. Browse books and look for Prime badge. Click on a title and you'll have the option to either buy or borrow for free. 3. You can also borrow and read on an app for your desktop, iPad and more. Download your borrowed books directly from Amazon.com by looking for titles that show the Amazon Prime icon. Remember, as a US or UK Prime member, you're entitled to 1 free borrow a month. That's 12 free books each year. Don't own a Kindle? Get yours now. If you're not a US Prime member, start your one month free trial today. If you live in the UK, start your one month free trial of Prime here. Borrow Cheryl Kaye Tardif books! Look for the Prime icon. If you’re a writer and reader, you’ve likely heard of the popular site goodreads.com. If you haven’t, you should check it out. The site is devoted to the love of books and has twelve million members. Among those members, 410,000,000 books have been listed on their shelves! But here’s the other reason you should join, particularly if you’re an author. 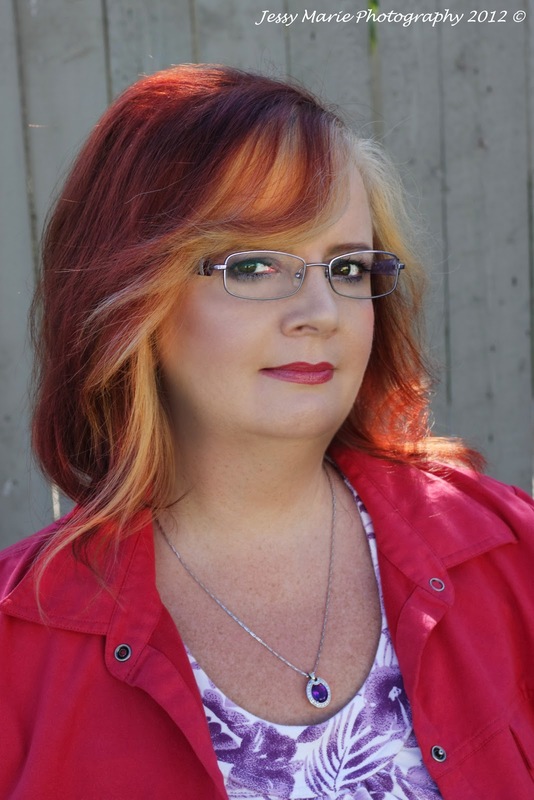 According to one blog, it’s a great way for a new book to get noticed, as demonstrate by new author Colleen Hoover with her first book, Slammed. Hoover succeeded by first offering a pair of free giveaways. From there a few prominent bloggers wrote about the book, spreading the word to their followers (there’s more about these bloggers in the link below). The bloggers gave the book enough ratings for the Goodreads search engine to place it on their recommended reading list. The book came out in January. By summer it was on the New York Times ebook bestseller list, and then Simon & Schuster’s Atria Books imprint took notice. 1. Believe in yourself. Respect your work, and insist that others respect your work, too. Don't let people diminish you by saying things like: "So you want to be a writer?" They don't mean to spit in your face. What they think they're saying is, "So you hope to be a successfully published writer?" If you write, you're a writer -- a real writer -- as real as James Herriot or Harlan Ellison or Erma Bombeck or Margaret Wise Brown. Don't be discouraged if what's coming out of you is a poor echo of the concept in your head: an idea shines with potential; when you begin to put that idea on paper, you have to make choices, and every choice limits that potential. Writing down a story is like catching and chloroforming and pinning and mounting a butterfly, with these differences: When you write, you end up with an endless variety of mounted specimens, and the real butterfly is still alive. 2. Permit yourself to succeed. Every time you turn out a piece of work that's as well done as you can do it, you're a success. You don't have to earn a nickle. You don't have to be slapped on the back and congratulated or asked for your autograph or even asked to try again. Above and beyond and anything else notwithstanding, a writer writes, and a good writer writes as well as possible. 3. Don't talk so much about your book before you've finished it that you don't need to write it anymore. 4. Work in the way that works for you. If you need a rough plan, or a detailed plan, or a physical object for inspiration and no plan at all, go with it. Feel free to experiment with advice, but use what works for you. 5. Don't mistake the blueprint for the house. You have to be open to letting your characters and story line surprise you. You have to be willing to think those surprises through, and decide whether the changes will make a better book, or should be filed for another book. 6. Hemingway, among others, suggests you should never stop writing at the end of a scene. Always stop before the end or just after the beginning of the next scene. 7. Set a goal. So many pages a day, or a week, or by the end of the school year. If you don't meet that goal, so what? It's just something to aim for; an incentive; a little extra oomph. If goals blank you out, do the reverse; remind yourself that you're not on a timetable. All right, too late, you're stuck already. Now what? 1. Drop back and punt. Re-read the last page you wrote, or the last chapter, or as much as you have to, to get back the feel of the writing. Some writers recommend re-typing a few pages to prime the pump. 2. Do something else for a while. Read, or process pickles, or take a walk. Work on an alternate project. Do a crossword puzzle. 3. Have a chat with your characters. Ask them questions you know the answers to, and questions you don't know the answers to. You might learn some surprising details. If this happens to you, please don't forget that these surprises are still under your control and, if one of your characters reveals that he is a transvestite lounge-singer, you have the power to say, "No, you're not." 4. Start someplace else. Try writing a scene from a different point of view; maybe you've chosen the wrong viewpoint character. Choose a different place to start, or a different type of opening. 5. Writer's block is your friend. I have been known to get stuck, but I don't call it writer's block, though. When I feel myself heading into a strong resistance, I stop dead the water; I've learned that, when my subconscious resists writing, I'm doing something wrong. I stop and take a look at what I'm doing: Am I letting a character dictate to me? Am I bulling along with my outline, when I've stumbled on a better alternative? Am I forgetting to answer an important question? Am I making a character do or say something he or she wouldn't do or say, just to get through a scene, or in order to put in a line of dialogue I like? When I've identified and corrected the problem, my block is gone. I've formed a habit of making a mental note of places in my writing that felt a little "iffy" when I wrote or re-read them, then paying attention to what my beta readers have to say. It was always those "iffy" bits that bothered them; now I know I can trust my instincts. Maybe your block will be your instincts trying to tell you something. Is the e-Reading Explosion as Large as We Thought? Those who’ve been following my blog know I’ve covered a fair amount of stats that reflect the huge rise in e-reader and e-book sales. I still think the trend is growing, however an interesting survey in publishingperspectives.com suggests that a third of e-reader owners only used them once! The survey came from CouponCodes4u.com and polled only 2,000 people, so who knows how accurately their survey reflects what’s happening in the digital world? Having said that, I don’t think the survey is horribly off the mark. The survey also showed that 17% used their readers once a week while 29% used theirs every day. Of those asked why they’d only used their e-readers once, 57% said they were too busy too read, 25% reported that they preferred physical books, and 22% had received the e-reader as a gift and didn’t think they were necessary. I have to wonder if these gadgets are catching on as much as Amazon and others would have us believe? Sure, Amazon sells a lot of Kindles, but is every buyer using them regularly? Are a third of consumers using the device only once or twice, then tossing it in a drawer? My Sony was given to me as a gift. It took me three months to take it out of the box. I downloaded a few things, but I haven’t used it in months, as I too prefer physical books and have a large stack still waiting to be read. This would likely change if I downsized my home, or traveled more often. Light Bringer, my most recent release from Second Wind Publishing, stewed in my brain pan for several years before I actually started to write it. It was the first book I conceived, but I couldn’t figure out who my alien characters were, where they were from, how they traveled here, and why they came, so when other stories captured my imagination, I followed my enthusiasm. In between finishing my various novels, I worked on Light Bringer, trying to develop the idea and research the specifics. If you include my research, which I’d been doing for decades before the story ever entered my mind, you could say the idea for the book had been developing for about thirty years. Here are some other authors’ responses to the question of how long the idea had been developing before beginning to write their stories. The comments are taken from interviews posted at Pat Bertram Introduces . . .
book. In this case “a while” spanned 12 years. The major challenges for me are finding the time to write and the discipline to edit the dialogue and descriptive passages over and over until things feel right and pass my wife’s critical evaluation. I haven’t needed to spend much time on research as yet, since I’ve lived in the locations that the books have been set in. For over a year, if you can believe it. I originally wrote Agents of Change as a television pilot script around this time last year. As an aspiring screenwriter for many years, I finally got tired of banging my head against the wall as I attempted to sell the script. This past October, I finally asked myself “what if I wrote a novel?” I really believed in the television pilot’s concept but knew I needed to rework it for the purposes of a book. It’s darker than the television series would have been. Truth be told, I actually like it a lot better as a novel. For this particular book, almost twenty years. I know that because I came across a notebook with dated entries from when I was in my late teens outlining some of the ideas. That’s unusual for me. Most of my stories go from concept to writing within a year or two. I had the idea for Exchange long before I had the maturity or self-discipline to write it. Funny in that this story had to “brew” quite a while, Pat. I thought up the rough idea for GHOSTS OF ROSEWOOD ASYLUM after my first novel DREAM WAR didn’t sell to the Big Six publishers. I didn’t quite pitch it right to my agent though, and she suggested I go with another idea I had at the time (a vampire novel). Unfortunately, I got blocked with that idea and came back to the TV Paranormal Investigator angle. Pitching it a second time to my agent went much better. She gave me some great advice. Thus, GHOSTS OF ROSEWOOD ASYLUM (GoRA) was the easiest novel to write thus far. I wrote the first draft within 3 months. Cold Comfort took about a year to write and five more to revise till I felt it was right. The first one, Haunting Refrain, took eight years to complete. I’m getting better. Too long. Someone asked me the other day about my mother and it occurred to me then that the day she died I’d written the first four pages of “Broken but not Dead”. I gave them to her to read, then retired for the night. When I got up the next morning the pages were on the dining room table with spelling corrections and a note that said she liked it very much. I didn’t realize then that she’d passed. That was October 16, 1999. It takes me a long time to write, and I don’t think it’s because I’m slow. I work on so many different projects at the same time and I like to take breaks and distance myself often. So, How long had the idea of your book been developing before you began to write the story? Labels: Dale Cozort, how long does it take to write a novel?, Joylene Nowell Butler, Light Bringer, novel ideas, Second Wind Publishing, what if I wrote a novel? Got 'Starving Writer Syndrome'? Want to free up money in your home? As a writer and published author, I know how difficult our industry can be, and how uncertain a writer's income can be. I've had my ups and downs, suffered from what I call "Starving Writer Syndrome" (akin to Starving Artist Syndrome). I've experienced many years where I spent more than I earned. It's not fun, and it places a huge amount of stress on a writer's self-confidence, financial situation and family. For years, I've made it my mission to help other writers when I can, and therefore I'd like to introduce you, my fellow writers, to my brother, Derek Kaye. He's a financial advisor, and he has a plan for you to free up money in your home--even if you think there's nothing available. Would you be interested in discovering a way to quickly free up money and start down a path towards financial abundance? Discover the Get Your Finances On Track system <== NEW TRAINING! ... yet don't know where it's all going! ... yet are living paycheque to paycheque and don't seem to be able to get ahead! How to manage your money, stay out of debt and jump on the fast-track to financial independence! Derek tells me this isn't just about getting out of debt. It's about discovering an entirely new way of looking at money and running your house-hold so that you can finally get ahead and start pursuing your dreams. ... change things around with a system that will allow YOU to start managing your MONEY! Check out this end-to-end system for getting your finances on track. P.S. Stop just dreaming of your perfect life and start designing the one you wish to live! There have been a number of articles and blogs over recent months about how self-publishers are destroying the publishing world. There have probably been almost as many responses convinced that indie authors are saving the industry. An interesting guest blog by Ed Robertson comes down on the saving side, focusing mainly on book pricing. Robertson provides some interesting stats which does appear to show that the publishing industry has shot itself in the foot by charging far more for books than one might perceive reasonable. The other interesting aspect to his blog is that this is not the first time people have cried “publishing is dying!” Robertson notes that it also happened back in 1939 when Robert De Graff of Pocket Books began selling paperbacks for twenty-five cents. At that time, hard covers were between $2.50 and $3.00. In 2012 terms, this means a hard cover would be $40 to $50 and the mass market paperback version would be $4.16. A big difference! Pocket Books’ strategy sparked a lot of debate. Some authors weren’t interested in selling their books for twenty-five cents, while genre authors were happy that their books were selling in greater numbers than ever. Furthermore, the quality of the covers was hotly disputed. The thing was that within five years Pocket Books sold 100 million copies. Is any of this sounding familiar yet? Did Writing Your Book Change Your Life? I wish I could say writing my latest novel Light Bringer changed my life, it would make a good story, but the fact is, it made little difference outside of bringing to a close a lifetime of research. It was the fourth novel I wrote. I’d already experienced the joy and sense of accomplishment completing a novel gives one, and I’d already experienced the disappointment that comes from having a novel rejected. I’d already experienced the joy of getting published and the disappointment of lackluster sales. Now, if Light Bringer would go viral, that would change my life! Writing Grief: The Great Yearning, my non-fiction book about surviving grief, didn't change my life, either. In fact, my life had changed first. Writing was how I coped with the changes. Here are some responses from fellow Second Wind Publishing authors about how writing their book changed their lives. The comments are taken from interviews posted at Pat Bertram Introduces . . . Writing my first book a few years ago gave me confidence. I believe it was an exercise to prepare me for the challenges I would shortly face in my personal life. I think people thought I was pretty weird before the book. They still think I’m weird, but I think I get a pass now because I’m a writer. After penning the Phantom Lady, I was not the same person. The actual writing of the novel took about five and a half years. During that period, I wrote and rewrote again and again, etc. That said, the truth is, it took me all my life to write the Phantom Lady. The penning of my two other novels was preparing me to write TPLOP. The production of my countless short stories was also tutoring me on how to create the Phantom Lady. And during all this time of schooling, “the lady” was inside me clamoring to be liberated, as I was clamoring to liberate her. “Free me…free me,” she screamed. When I completed the last sentence of the novel, the lady was finally liberated. “Thank you, Calvin,” she said. “Thank you.” Finally, she was free…and so was I.
I think each book that I’ve written has changed my life. I remember an episode of Star Trek, Next Generation, when Jean Luc Picard was swept away to live out his life on another planet. He eventually fell in love, married, had children, and learned to play a musical instrument. When his new world came to an end, he learned that he had never left the Enterprise, and that the whole alternate life experience had occurred only in his mind, in a few days time. I feel like that every time I finish a book. It’s like I’ve visited some alternate reality and lived the life of my character from start to finish, feeling what they feel and experiencing what they experience, when in reality, I’ve just been sitting at my desk, typing away. In a very real way, I think each book makes me a richer, more multi-faceted, more understanding person because I’ve walked a mile (or a hundred) in my character’s shoes. Absolutely. In a couple of ways. My sister and I talked in detail about our lives before we met, and how we felt about all the things that happened and didn’t happen through the years. Our talks created a stronger bond between us. Another way my life changed was, my adopted mother used to accuse me of starting projects and losing interest before finishing them. Well, I took that criticism to heart. I know she’s up there smiling down at me, because I finish projects now. So, do you think writing your book changed your life? As I mentioned in last week’s blog, I had heard that Amazon is removing reviews from their site on a fairly large scale. Author Joe Konrath discovered that some reviews he posted have also been removed, reviews he says are legitimate and have nothing to do with the sock puppetry that started this mess. If you follow stories in the author/reviewing/publishing world, you’re likely familiar with the term, but for those who don’t know, sock puppets are authors who favorably review someone’s book in exchange for a good review of their own, among other things. Authors who’ve paid for reviews have also seen those reviews removed (this has been going on for some time). Also, as I wrote in a previous blog some authors have stooped to adopting fake identities to give themselves wonderful, 5-star reviews while trashing their competition. Honestly, it’s been a bit of a zoo in Amazon’s reviewing world, but as Konrath notes in his blog, legitimate reviewers are now being branded with the sock puppets. Konrath wrote that Amazon’s decision to remove reviews was in response to a petition with four hundred signatures for the fake reviews to stop. Amazon listened and now, are arbitrarily (or so it seems to some) removing reviews they don’t think are legitimate. So, how do they define legitimate? I’m not completely sure if Amazon’s decisions are arbitrary, as I’ve not heard any clear explanation about how they decide which reviews to remove. Clearly, sock puppetry sparked a lot of anger, and Amazon’s response has triggered more anger, but controversy is nothing new in the publishing world. I’ve posted 184 reviews on Amazon. I’m not sure if any of them will be removed, but I’m not planning to spend time worrying about it. There are two many other reviewing opportunities on Goodreads and elsewhere, and there are far too many books to write to lose precious time worrying about Amazon’s latest moves, at least for now.